BE/ BTECH (Mechanical/ Electrical/ Electronics) required in Bharat Heavy Electricals Limited. Education: BE/ BTECH (Mechanical/ Electrical/ Electronics) from a recognized University. Posted in Apply online, Electrical, Electrical & Power, Electrical and Electronics, Electronics and Communication, Electronics and Instrumentation, Electronics and Telecommunication, GATE 2013, Government Job, Job After Btech, Without Experience. Tags: Bharat Heavy Electricals Limited, BHEL, Engineer Trainee, Govt. jobs, recruitment, Via GATE-2013. on September 14, 2012 by kavita joshi. 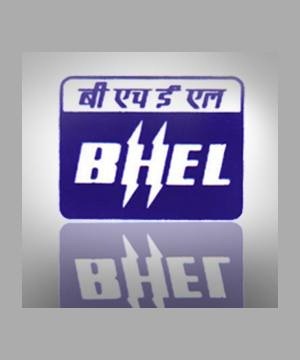 BHEL Bharat Heavy Electricals Limited | Govt. Jobs | 800 Engineers Vacancy | Last Date: 4 January, 2012 | Apply Online. Engineer Trainee Recruitment through GATE- 2012. Commencement of on-line submission of applications: 04th January, 2012. Closing of on-line submission of Applications : 28th January, 2012. Last date of receipt of Ack. Slips at BHEL: 22nd February, 2012. Last date of receipt of Ack. Slips from far flung area/North East : 29th February, 2012. Education: BE/ BTECH from a recognized University. Posted in Apply online, Electrical, Electrical & Power, Electronics and Communication, Electronics and Instrumentation, Electronics and Telecommunication, GATE 2012, Government Job, Job After Btech, Mechanical, Without Experience. 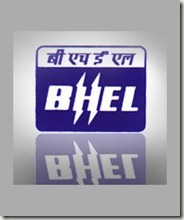 Tags: 2012, 800 Engineers, Apply online, Bharat Heavy Electricals Limited, BHEL, Govt. jobs, Last Date: 4 January, vacancy on January 6, 2012 by kavita joshi.